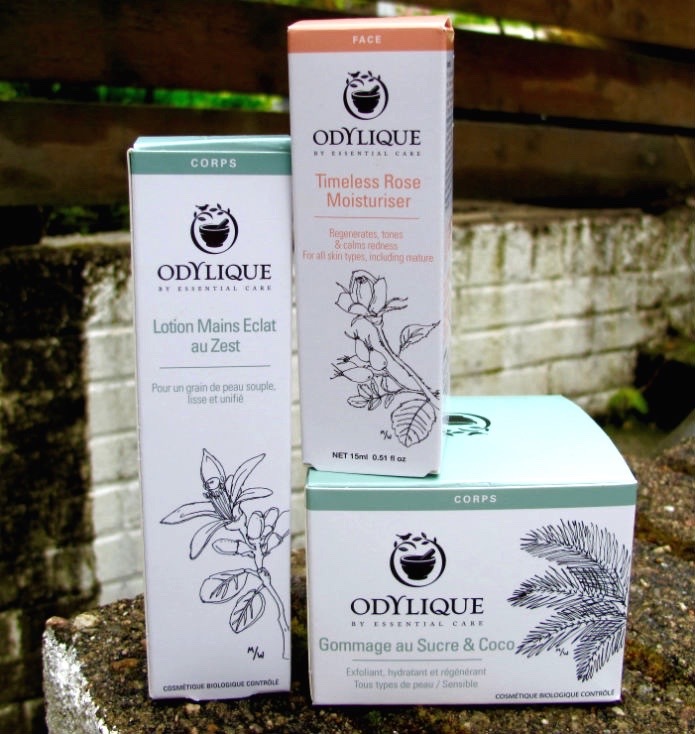 I was recently sent some products by natural skin care company Odylique with a view to doing a bit of a road test. Odylique is a company completely dedicated to 100% natural botanical ingredients, aimed specifically at providing care to sensitive skins. The company's founder, herbalist and aromatherapist Margaret Weeds, has been creating her own natural skincare products since the 1970s, driven by a desire to find something suitable for the eczema and allergy-prone skin that ran in her family. While Margaret has been making her own skincare products for decades, it was in 2003 that Odylique (originally named Essential Care) was born as a family company. The company is now run by both Margaret and her daughter Abi, and is based in their Suffolk workshop. It is there that they create and package everything that they sell, thus ensuring the quality and integrity of their products. Odylique has won countless awards for their products, including a 2014 Beauty Bible award, a 2013 Eco Beauty Award, and several Natural Health Magazine awards.The three products I tried were the Lemon Butter Hand Smoothie cream, the Coconut Candy Body Scrub, and the Timeless Rose Moisturiser. I've never been a person to go out of my way to use a scrub, opting instead for an exfoliating cloth or mitt that does the job without having to add any extra product. While I am still very much in the "less is more" camp when it comes to products, I make exception for this Coconut Candy Scrub. The delicious smell alone was enough to bring me on side, and while the size of the grains are large and upon first glance look rather unseemly (poppy seeds, fair-trade sugar in cocoa bean butter and coconut oil), when I used it, it developed a creaminess that felt luxurious, and left me feeling silky smooth all day long. While I never thought I have what would probably be classically categorised as "problem skin", the Coconut Candy Scrub left me wondering just what I may have been missing. Have I been walking around all of this time with what I considered an acceptable level of scaly dry skin, when all of this time I could have been buffing it away in a luxurious cloud of coconut-scented loveliness? Okay... I get it now. A good moisturiser that ticks all parts of my checklist is something that I am always on the lookout for. I like something that soaks in (but doesn't do so at the expense of moisture delivery), has antioxidant benefits (without being too oily or sticky as to make makeup slide off), and definitely does not sting, have excessive amounts of fragrance, or clog my pores. I don't ask much, do I? While I don't suffer from any inflammatory or allergic skin complaints, I do spend a lot of time out in excoriating winds (Scotland), and occasionally use exfoliating products whose side-effects often include a little residual redness. What I first noticed about this moisturiser, was how soothing it felt going on. This would be a great companion product to anyone who suffers from rosacea, or even just uses something like Retin-A. Best of all? 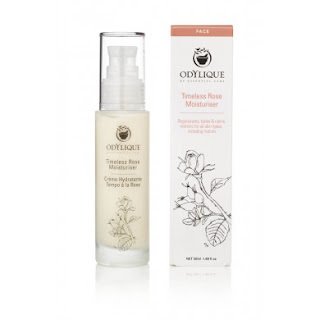 This moisturiser not only boasts some great antioxidant and regenerative qualities that my current organic moisturiser does not, it has a much more luxurious formula, making it easier to spread and therefore using-up less product. It also happens to be about £15 cheaper than my current brand, making it a much better value for the money. Yes, please. 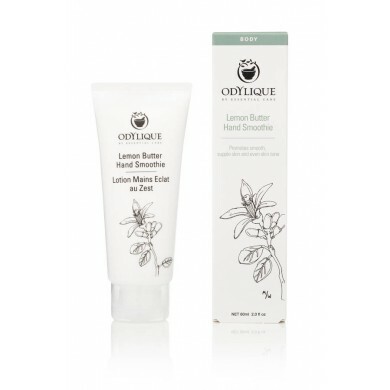 Of all of the Odylique products that I tried for this post, this one was my hands-down (pun intended) favourite. Although my day job requires me to wash my hands approximately 700 times during the day, I've never been a fan of hand creams. I've always found them greasy versions of your favourite body lotions that instead of moisturising, sort of sit atop the skin, mocking you. However, this hand lotion is nothing short of amazing. It soaks in completely almost immediately after application, leaving behind a silkiness and a light, refreshing scent that is a joy to behold. Hours later, I can still feel it working for me as I type this, and even the scent, while very subtle, still lingers in an unobtrusive, botanical sort of way. My overall impression? If the rest of the line is as luxurious and effective as the three products I road-tested, I may well have found a new go-to skincare company. Not based in the UK? Don't worry. Odylique delivers all over Europe and North America. Sample sizes of some products are also available on their website, if you don't feel like jumping in with both feet. You had me at 100% natural! That coconut scrub really intrigues me.. I'm sure the smell must be delish!